10:37pm: Divish now reports that the Mariners would send minor league lefty Michael Plassmeyer to the Rays and receive minor league outfielder Jake Fraley in the deal. Plassmeyer, 22, was the Mariners’ fourth-round pick just five months ago in the 2018 draft, which aligns with Dipoto’s willingness to deal from his most recent draft classes. The Mizzou product posted a ridiculous 44-to-4 K/BB ratio through 24 innings in Short-Season Class-A ball this summer. 9:19pm: Joel Sherman of the New York Post tweets that in addition to Smith, Zunino and Heredia, there are two minor leaguers involved in the deal — one on each side of the trade. More specifically, MLB.com’s Greg Johns tweets that the Rays will acquire a minor league pitcher, while the Mariners will add a minor league outfielder. Unsurprisingly, the first significant swap of the 2018-19 offseason appears likely to have the fingerprints of ever-active Mariners general manager Jerry Dipoto on it. Just yesterday, Dipoto spoke of a desire to “re-imagine” the Mariners’ roster while striving to remain competitive. Specifically, he indicated to MLB.com’s Greg Johns that adding a center fielder would be a priority. Adding Smith would not only achieve that goal early in the offseason but would simultaneously lower the club’s lofty payroll a bit; Zunino is projected by MLBTR contributor Matt Swartz to earn $4.2MM through arbitration this winter, while Smith is not yet arbitration-eligible after narrowly missing Super Two status and is controlled through the 2022 campaign. This would mark the second time in the past two years that Dipoto has acquired Smith, although the speedster’s original Mariners tenure was measured in hours. Dipoto acquired Smith from the Braves in a deal that sent Luiz Gohara to Atlanta and promptly flipped Smith to Tampa Bay in order to acquire two years of Drew Smyly’s services. Unfortunately, Smyly injured his arm that Spring and ultimately required Tommy John surgery before ever throwing a regular-season pitch for the Mariners. This time around, Smith’s acquisition would likely carry more permanence. He’s fresh off a season in which he hit .296/.367/.406 with a pair of homers, 27 doubles, an AL-leading 10 triples and a hefty 40 stolen bases. 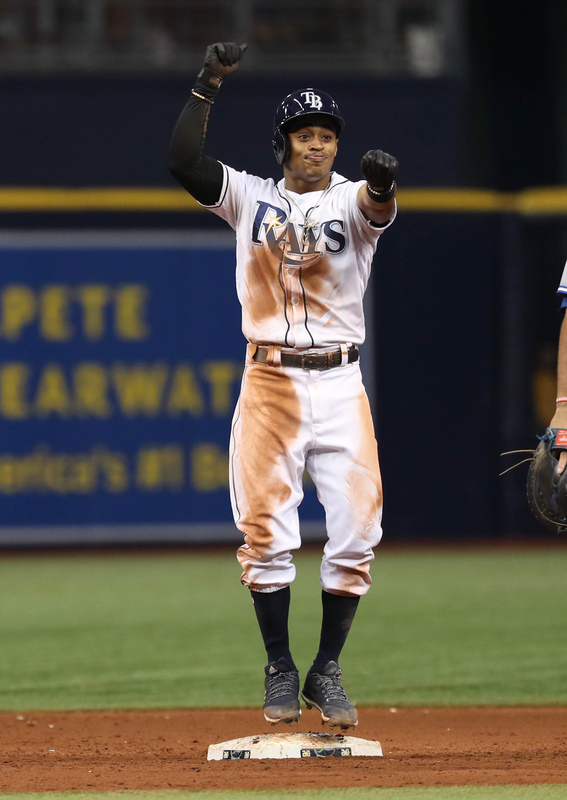 The 25-year-old Smith saw action at all three outfield positions with the Rays and delivered above-average ratings, but he’d almost certainly slot in as the primary center fielder for manager Scott Servais in Seattle. He’d give the Mariners a significant defensive upgrade over Dee Gordon, who admirably attempted to try his hand at a new position last season but graded out as one of the most ineffective defensive center fielders in the game. Gordon now appears likely to return to second base, if he isn’t traded himself, with Robinson Cano perhaps shifting to designated hitter and rotating between second base, first base and third base. 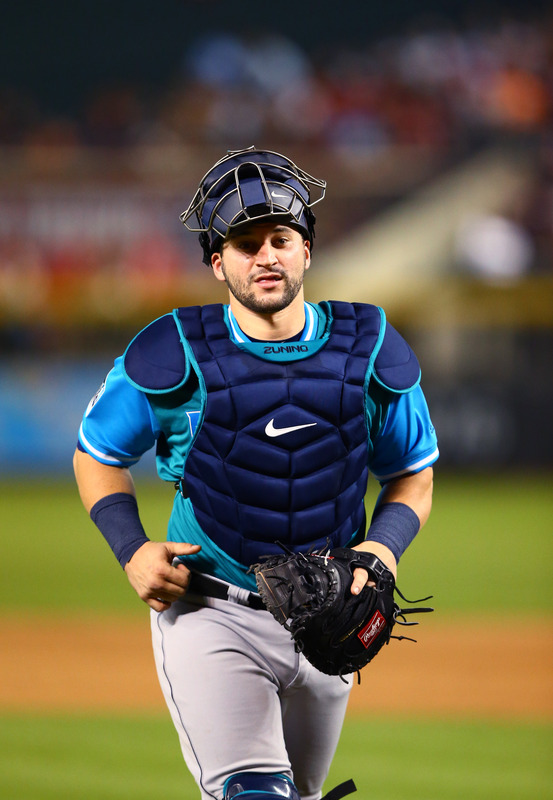 For the Rays, the addition of Zunino would bring about a catcher with light-tower power and premium defensive skills. However, Zunino pairs those highly desirable traits with enormous strikeout tendencies and questionable on-base skills. He’s coming off a season in which he hit just .201/.251/.406 with 20 homers, but he’s also only a season removed from a vastly superior .251/.339/.509 output and a career-high 25 homers. Over the past three seasons, Zunino is a .223/.300/.462 hitter with with 57 home runs in 1032 plate appearances. The average and OBP might not jump out, but when adjusting for the Mariners’ pitcher-friendly home park, that level of production rates at about seven percent better than the league-average hitter and nearly 20 percent better than that of a league-average catcher (by measure of OPS and wRC+). Defensively, Zunino threw out a career-best 35 percent of would-be base thieves in 2018, and he perennially ranks among the league leaders in terms of pitch framing. He’s received well above-average marks in Baseball Prospectus’ Fielding Runs Above Average for catchers in each of his Major League seasons, and he’s controllable for the next two seasons. If the Rays feel they can curb Zunino’s alarming 34.2 percent career strikeout rate, perhaps they feel there’s some yet-untapped upside in the 27-year-old. If not, he’ll nonetheless give them a strong throwing/framing backstop with more power than just about any catcher in the game. Acquiring Zunino would push Michael Perez, acquired in this summer’s Matt Andriese trade with the Diamondbacks, from a starting role to a backup job. The 26-year-old Perez impressed in his brief big league promotion in ’18, hitting .284/304/.392 with a homer and five doubles while halting five of 17 stolen-base attempts against him (29 percent). Perez has received quality defensive ratings of his own throughout his minor league tenure, so this pairing would give the Rays a couple of solid to plus defenders behind the plate — a likely point of emphasis for lead baseball ops duo Erik Neander and Chaim Bloom as they engage in experimental tactics with their pitching staff. Heredia, 28 in January, hit .236/.318/.342 with the Mariners in 337 plate appearances last season — numbers that fall right in line with his career .244/.321/.336 output in 870 PAs. Unlike Smith, Heredia has garnered poor defensive ratings in center field, though he grades out above-average in the outfield corners.